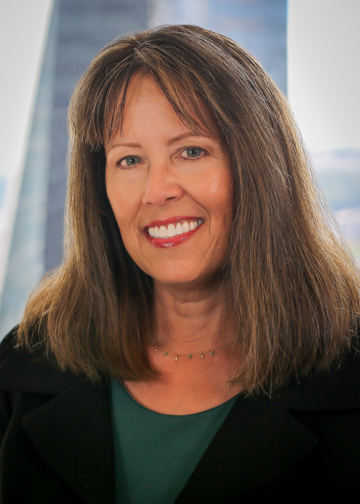 Linda is a passionate advocate for her clients, representing children and families for over 25 years as an attorney in private practice, as a former Assistant Attorney General, and as a family and children’s Ombudsman for Washington state. Linda is committed to helping clients navigate difficult transitions in their lives through compassionate advice and skilled advocacy, both through negotiation and litigation. Linda is an experienced trial lawyer with deep experience in winning cases for her clients when litigation is necessary. As an Assistant Attorney General for 10 years, Linda tried many cases involving neglect, abuse, and financial exploitation of children and vulnerable adults. Linda is a skilled negotiator whose best results are often achieved outside of the courtroom. Her experience and knowledge representing clients in a wide variety of situations gives her an advantage in mediation and achieving good solutions for her clients. Linda is trained and certified in mediation and collaborative law. In 2012, Linda launched her own firm, Mason Wilgis Law, P.S. in downtown Seattle. She joined Integrative Family Law in 2017, and practices in the areas of, family law, elder law and guardianships and select child welfare and youth advocacy. In addition to her role as an attorney, she is certified and appointed by the King County Superior Court as a Guardian ad Litem in Title 26 (Family Law) and Title 11 (guardianship) cases to represent the best interests of minor children and alleged incapacitated persons. Linda grew up in the Pacific Northwest but headed East for her college and law school education. She worked for the U.S. Senate for Senator Henry M. Jackson (“Scoop”) and other Senators for several years prior to law school. Linda served as an Assistant Attorney General for 10 years. She then served under the Office of the Governor as an Ombudsman investigating alleged wrongdoing by the Department of Social and Health Services and intervening where appropriate. She has a keen understanding of the relationship between the law, the legislative process, and public policy. Linda is an avid reader, loves skiing and hiking, gardening, and cooking and eating good food with her husband and 3 boys. Her interest in travel was sparked by living in Dar es Salaam, Tanzania as a youth and climbing Mt. Kilimanjaro with her family. Skidmore College, B.A. Double major in English and Government. College Honors and Department Honors. Elected to Phi Beta Kappa. Commendation from the Office of the Attorney General for excellent work, professionalism, and dedication. Notes Editor, Journal of Law & Politics, University of Virginia School of Law. The Golden Years: Protecting Your Wealth. Presentation to seniors at a wealth management firm. March 2016. Office of the Family & Children’s Ombudsman, an Independent Voice for Families and Children: cowriter of Annual Reports, 2004-2010. Loss of Trust: A Crisis of Confidence in the Child Welfare System in Colville, WA, OFCO, (May 2009). Patterns in Mandated Reporter Referrals 2006-2008, OFCO, July 2009.